We all know plants require water to grow and be happy and watering seems like a pretty easy concept…Right? Actually there are several factors that come into play that can make or break your plants watering experience, like how much you are giving them, how often you are doing it and the pH. When you get all of these factors right your plants are going to be very happy, but if you don’t you will start to see signs of an unhappy plant, such as stunted growth, leaf drooping, yellowing, wilting and most severely death. So we are going to talk about how to avoid these problems, and what to do if you run into them. Plants are going to need different amounts of water throughout their lives, depending on their size, rate of growth, what medium they are in and the atmosphere of their environment. For example if we have a plant in a small container it is going to need water more frequently than a plant of the same size in a larger container, and a plant living in an environment what is warmer than normal and more humid is going to need more water than a plant living in optimal conditions. So, you might be asking yourself, when should I be watering my plants? When working with dirt it’s a good idea to water in your plant to avoid any initial dry pockets that may form, after that a few general rules to follow When watering is to allow up to a 10% runoff to help to prevent any salt or excess nutrients to build up in the media and to water your plants after the soil is dry ½” below the surface, regardless of container size. Keep on mind that smaller containers are going to need more attention than larger containers, as they dry out more quickly. Overwatering; A problem that many beginning gardeners run into. No one wants to see their plants die from not getting enough water so we often give water even when it may not be needed, which can seem like a harmless thing to do, but can have devastating effects on your plants. When a plant gets overwatered the root zone drowns because it is being cut off from its oxygen source, This will cause the leaves to curl downward and yellow and growth to slow. Having a soggy media also promotes the growth and colonization of algae and fungi which could later attack your plant. To prevent overwatering your plant invest in a moisture meter, this will allow you to know exactly what the moisture level of your container is, and when you need to add water ( you usually do not want to let your moisture level go below 2 or 3). A moisture meter can also help to identify any dry pockets that may have developed. A good way to prevent dry pockets is to turn up the top ½” of the soil before you water. Another helpful product to prevent overwatering of plants are Smart Pots, these pots are made of a heavy duty fabric that allows the plants root zone to breathe and release any extra water that may otherwise be trapped is poorly drained plastic containers. Underwatering is a fairly common problem with plants in small containers. When plants are in smaller containers, such as 1or 2 gallon pots they need to be watered almost every day. If plants go without water for too long root hairs can dry out, and die and growth will become stunted, Leaves on the plant will start to wilt and turn yellow/ brown before dying, if left untreated. Plants can recover from dehydration but it does take some time, the plant will need to regenerate lost root hairs before the plant starts to produce new growth again. To prevent underwatering your plants be sure to check them regularly with your moisture meter and be sure to avoid having dry pockets form. Another way to prevent dehydrating your plants would be to put them on an automatic drip system, which will give your plants water in predetermined increments. And finally, let’s not forget about the pH….. When giving your plants water you want to make sure that the pH of the water is in the correct range for your media, or lack thereof, for example if you are growing in soil you would want your pH to be somewhere between 6.5 and 7 and in hydroponic applications anywhere between 5.7 and 6.8, most people prefer 5.7. 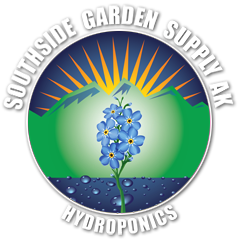 Having your pH correct range maximizes the plants ability to absorb and process the nutrients both in the soil and the nutrient solution. Posted in Nutrition & Watering.